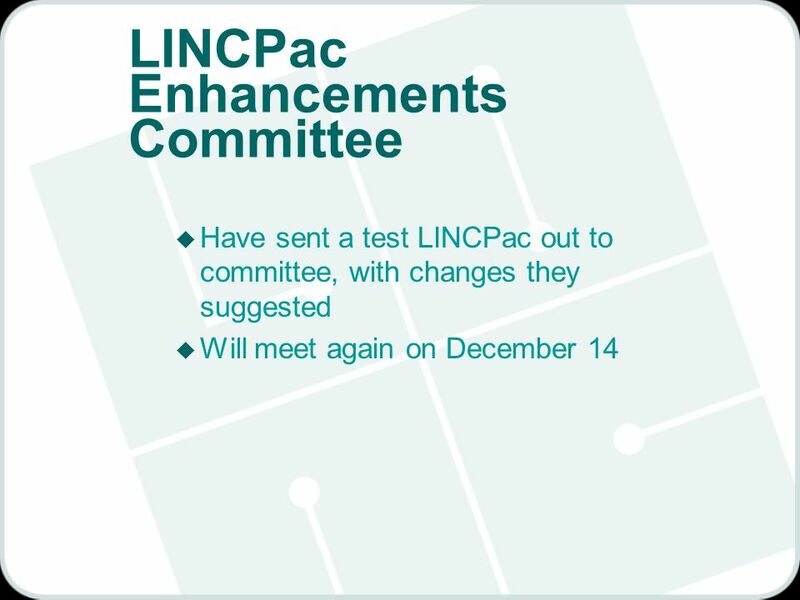 LINC Policy Council December 1, 2004 Lincoln Trail Libraries System. 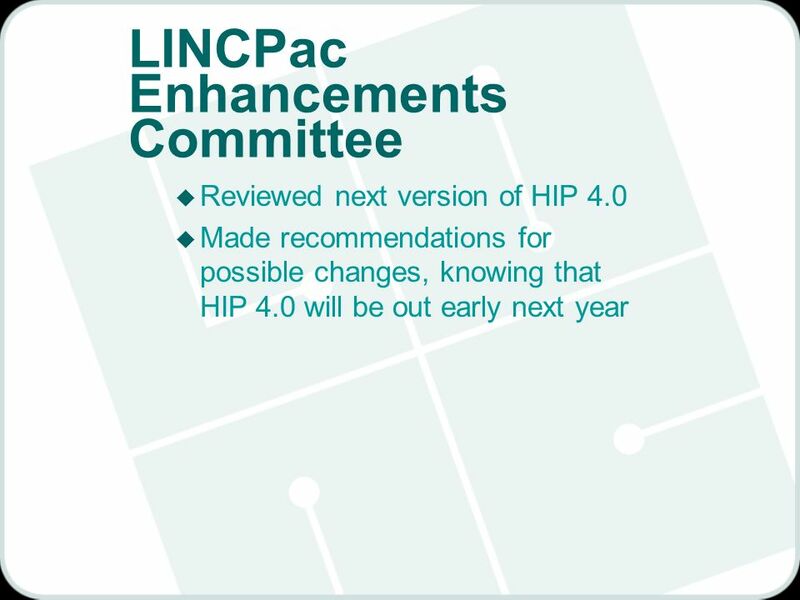 Download ppt "LINC Policy Council December 1, 2004 Lincoln Trail Libraries System." 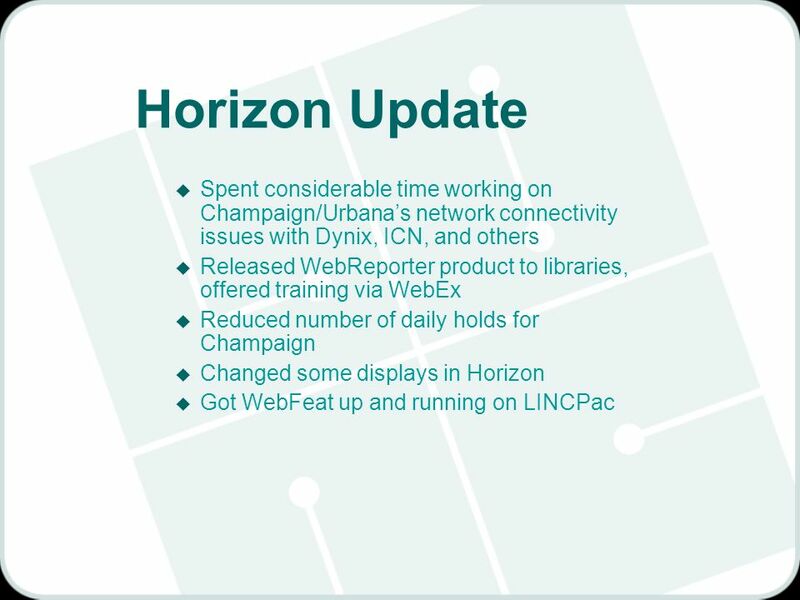 LINC Directors Group May 21, 2008 Lincoln Trail Libraries System. 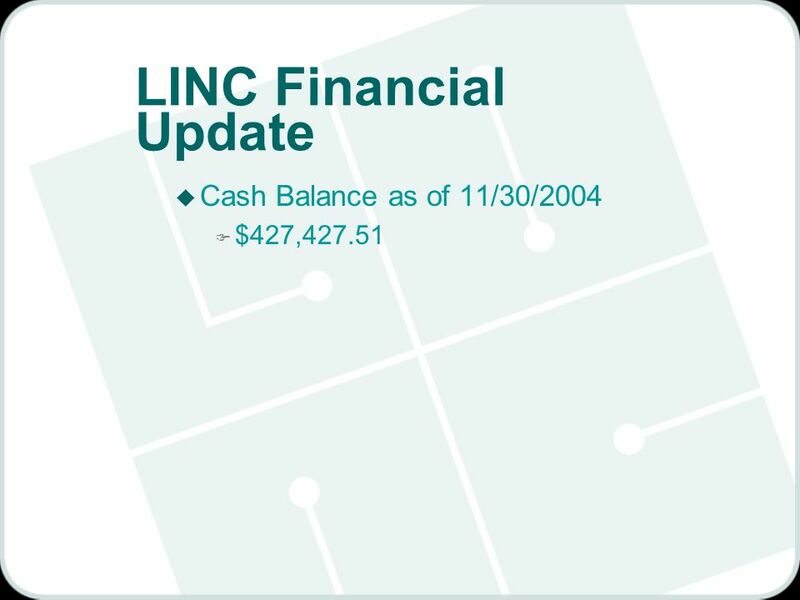 LINC Users Group November 19, 2002 Lincoln Trail Libraries System. 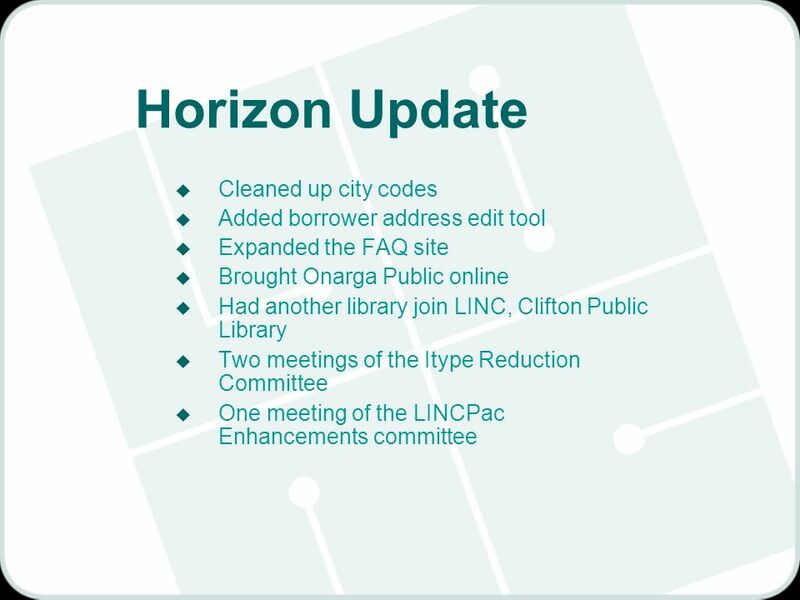 LINC Directors Group September 21, 2005 Lincoln Trail Libraries System. 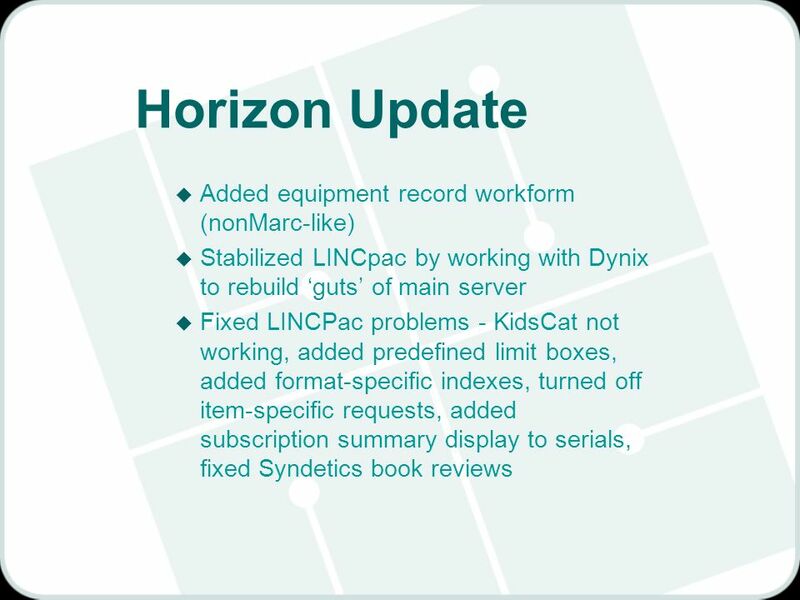 LINC Directors Group April 17, 2003 Lincoln Trail Libraries System. 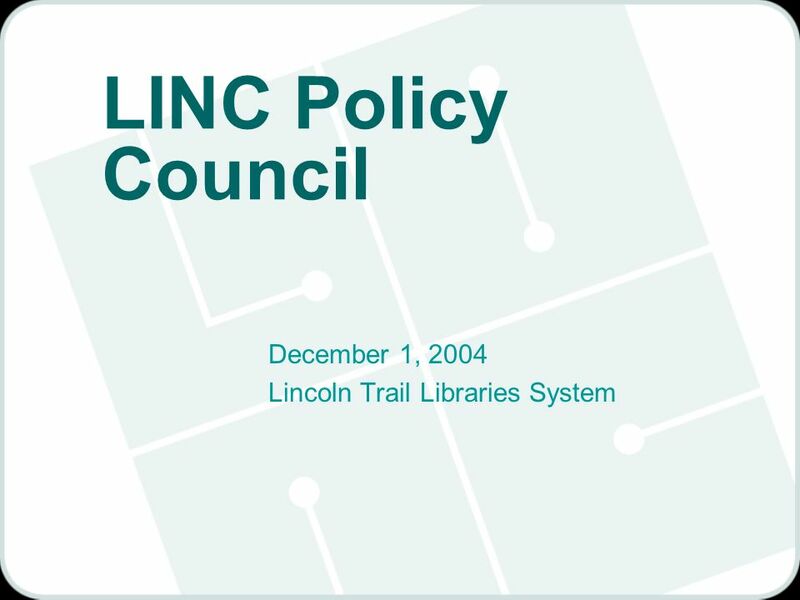 LINC Policy Council July 13, 2005 Lincoln Trail Libraries System. 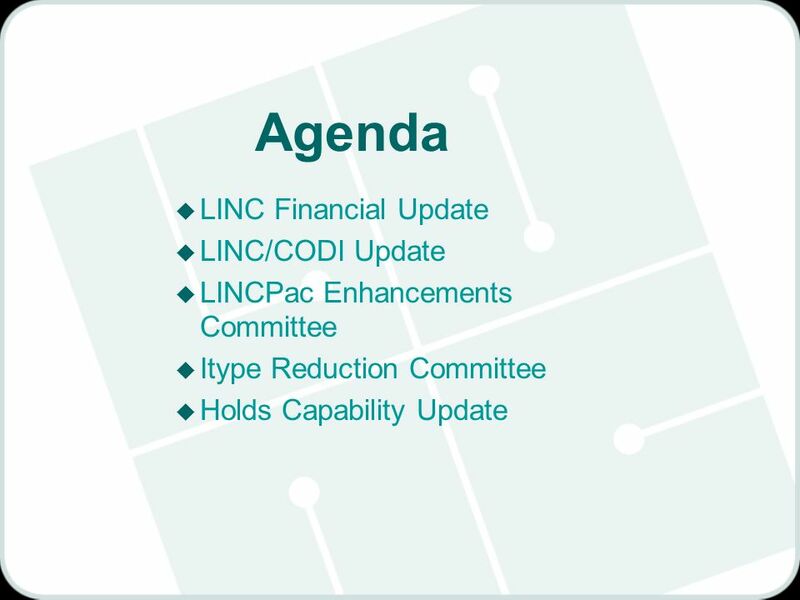 LINC Directors Group December 2, 2009 Lincoln Trail Libraries System. 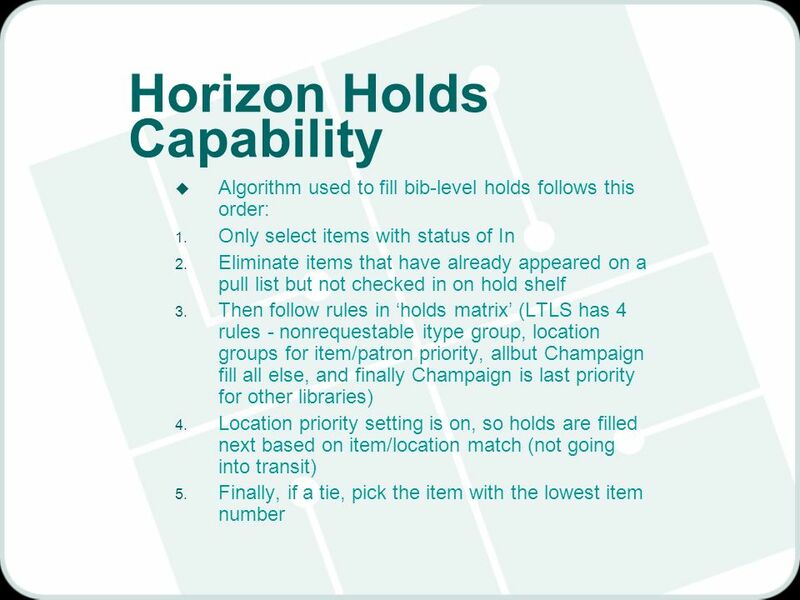 THE VIRTUAL ILLINOIS CATALOG (VIC) Jan Ison Lincoln Trail Libraries System OCLC Advisory Committee for Public Libraries June 6, 2000. Serials Acquisitions Workflow East Central University Dana Belcher, Asst Library Director Ashley Romans, Cataloging/Government Documents Librarian SIGALO. MBS ROAD MAP Mike Chalk, MBS Manager Phil Goble, CIO. 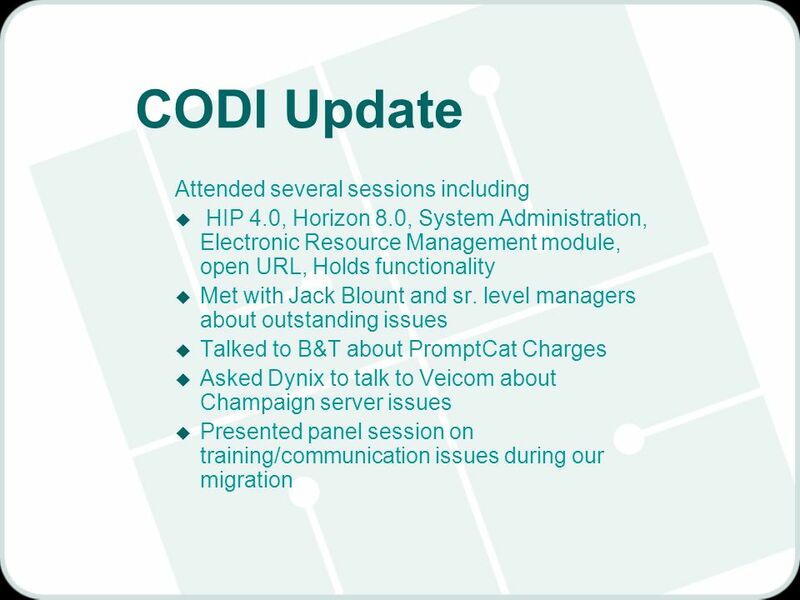 Vida Nueva To logon as a Director go to: Director Training Hit enter for next slide. 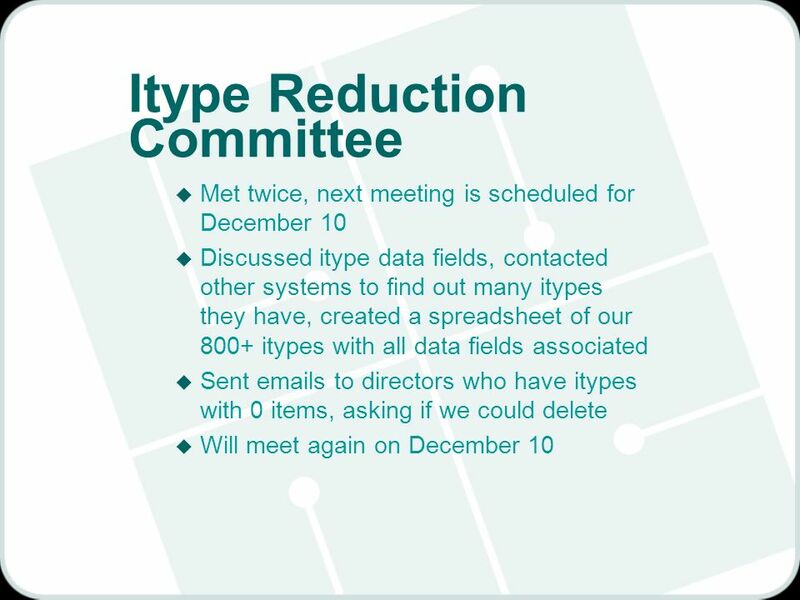 Auto-Graphics Update Mary E. Jackson Product Manager, Resource Sharing October 20, 2010. Session #15 Unlocking the Potential of Direct Loan Reports Allison Richards Julie Aloisio. 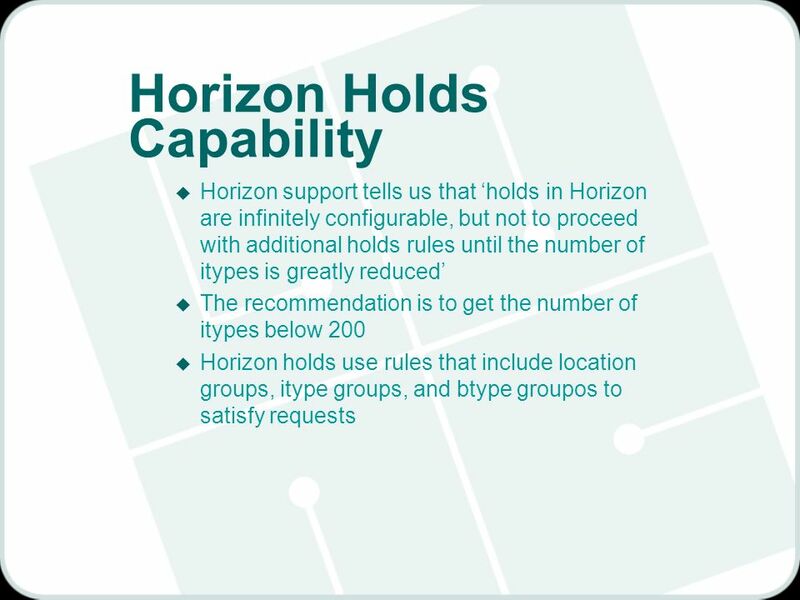 Destiny OPAC Tutorial Section 1 1. Set-up 2. Reserves 3. ILL (Interlibrary Loan) Microsoft, 2012 Follett, 2012 Click your mouse or use your down arrow. Gadgets Email & More…. “Date Range” Gadgets Allows you to choose a specific date, before or after a date or a range of dates using the Workflows calendar.